Carn a Chlamain today, windy and cold up top, glad we found the Stalkers path in the end through the cloud, but a super descent (only one burn crossing defeated me) and a grand backdrop. 4 hours in total, not gunning it at all. Climbed up the quad track at the farm, and descended on the stalkers path, which was on the left on the way down, quite near the top, just after a straight downhill section as the main path kicks slightly uphill again. Stalkers path marked with small piles of stones every 30 yards or so. Excellent descent. Did the Lochnagar loop today. 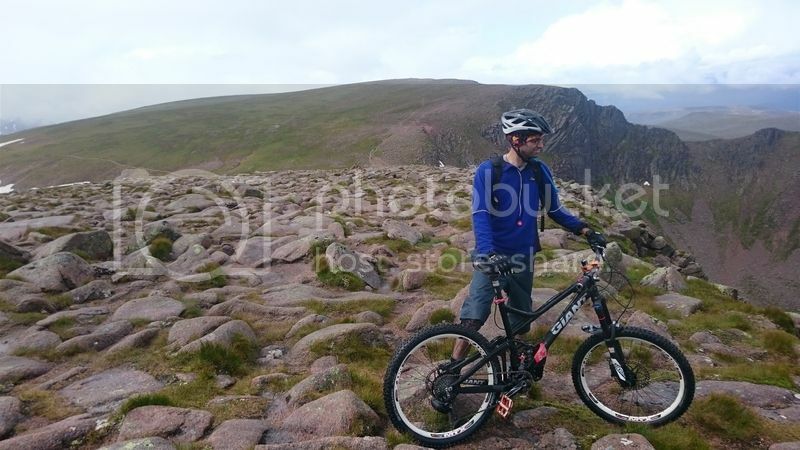 Photo was taken looking down to Loch Muick just after traversing the boulder field at the top of Broad Cairn, the first of 5 Munro’s you can do during the ride. 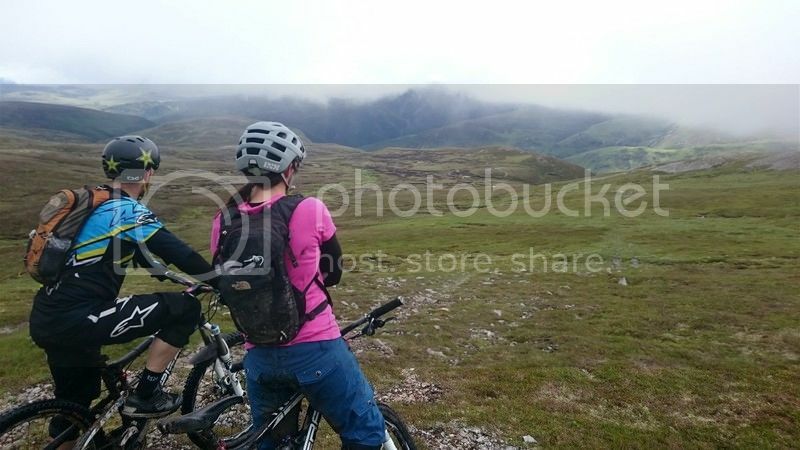 Beinn a Bhuird and Ben Avon last weekend as a little excursion while on a longer bikepacking trip. As from this thread. 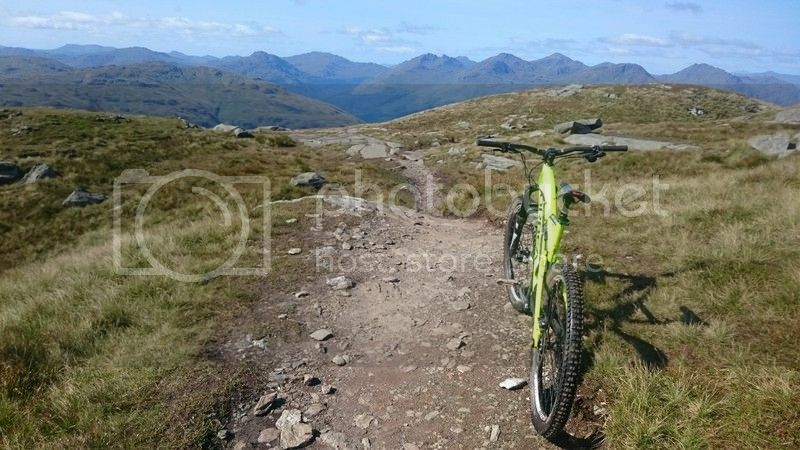 Very rideable on the way up from Glen Quoich, less so (for me) on the way down. Dropping in to the Sneck from Beinn a Bhuird was tricky for a short patch of very loose steep scree where I ended using the bike more like a trekking pole. The Ben Avon side is much more rideable. The Slugain path out of the Sneck I found very difficult at the top and then a bit frustrating with the waterbar lottery further down. Some you can hop, some you can ride through and some are monumental vicious traps. 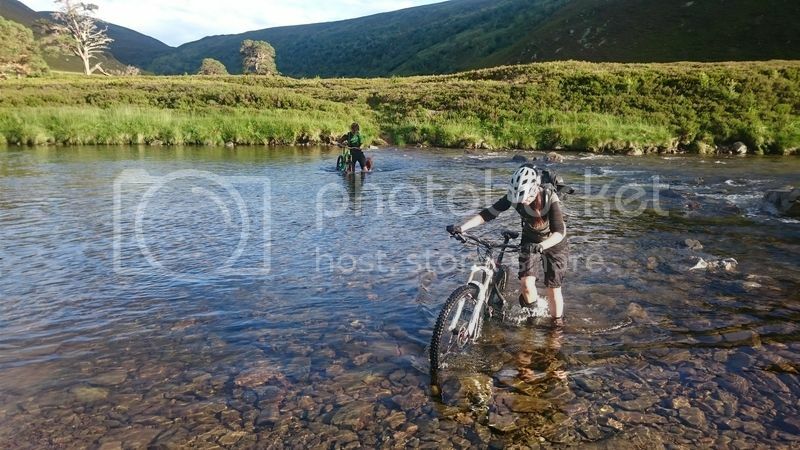 I was loving it by the time I was blasting through Gleann Slugain. 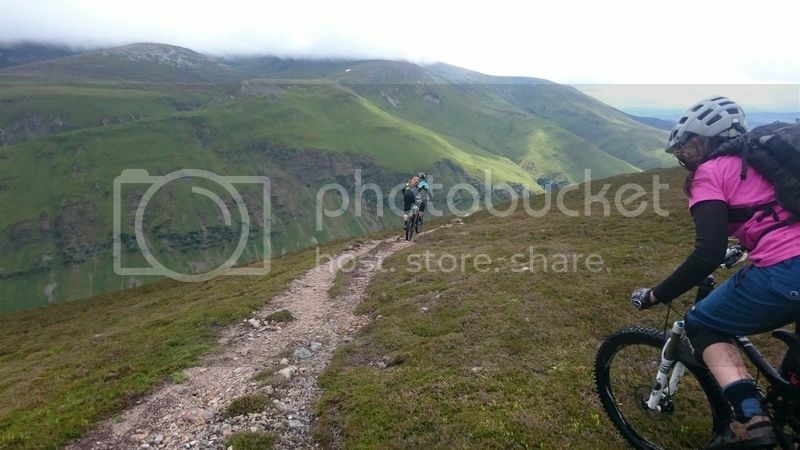 I can’t help thinking that descending to Glen Quoich would be pretty good as it would be more a continuous ride. And a damn fast one at that. i almost feel like i can add to this thread now. Skiddaw and 90% of Helvellyn done this year. I ‘witness’d the fitness’ of the climbing fatbike! 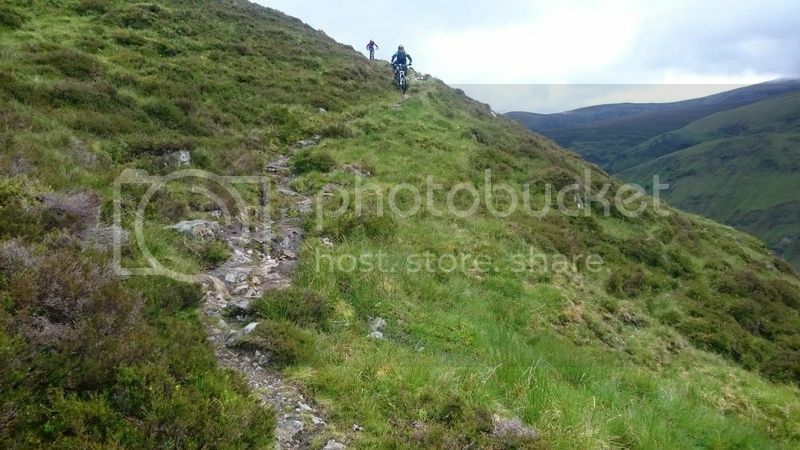 It made those steep loose double track climbs out to be a supermarket escalator while we were all shoving alongside on our do it all 160mm superbikes ha! We (Glasgowdan n co) mananged Ben Macdui yesterday, this being the my second time round. This time round the late minute plan was hatched in the Skiing Doo bar on Friday night to do the same up but different out, so we ditched a van in Achlean/Auchleum past Feshiebridge late that night and drove up to the ski centre and blah blah all the way to White bridge junction but this time headed West along Geldie the land of zilchness…our group made good progress along the landrover track but I was struggling until we hit the undulating singletrack that leads to Feshie Ive had on the list for years but never managed to incorporate into a ride. I really liked this part although at this point of the ride it was very slow progress with alot of on/off the bike brook hopping and such, but despite a few weeks of heavy rain and thunderstorms across the country is was to my suprise fairly easy going and somewhat drier than I had anticipated as this was unchartered territory for me and anyone i had spoke to. 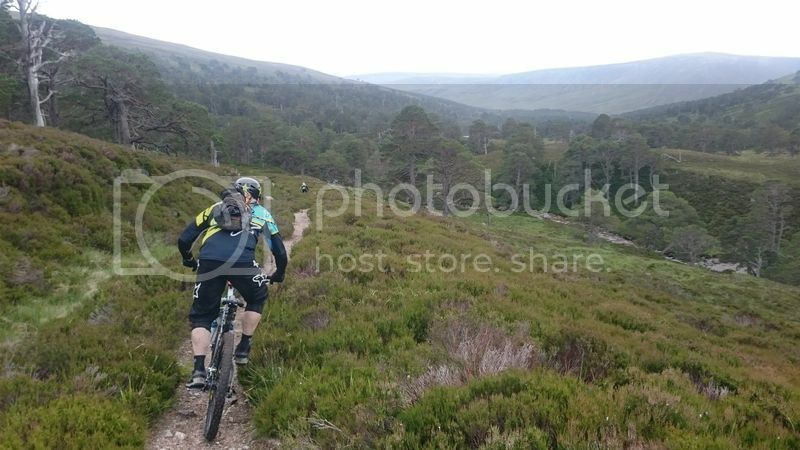 Onto the well beaten single track up and into Feshie and we are all buzzin’again although well beat up at this time haulin rigs capable of straightlining the big MacDee descent but not so smart for long pedals out. Ben Vorlich – Really enjoyable, even in the snow, with great views. Ben Venue – can be worked into a big loop which isn’t entirely unrewarding but as a thing on it’s own it’s not really worth it. Crag and Whiteless Pike- great fun, a big day out. Old Man of Coniston via the mines- excellent, steep and technical then fast and twisty. 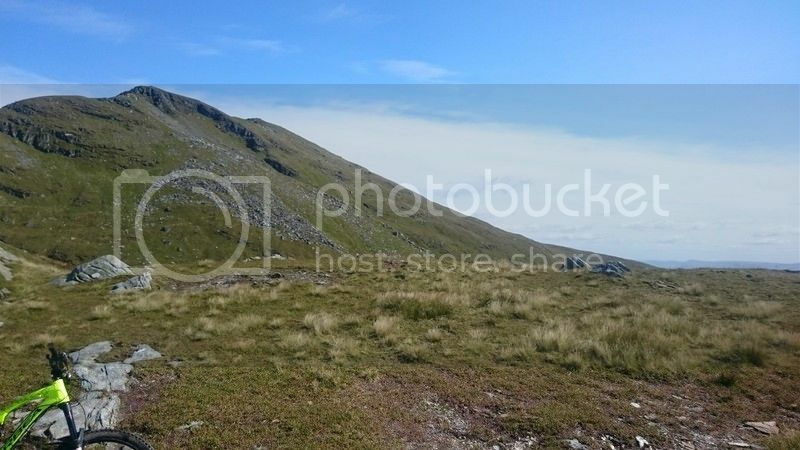 Helvellyn via Birk Side- fast! Good fun and very quick way of bagging such a big hill. Stob Bhan- a waste of everybody’s time. Avoid. 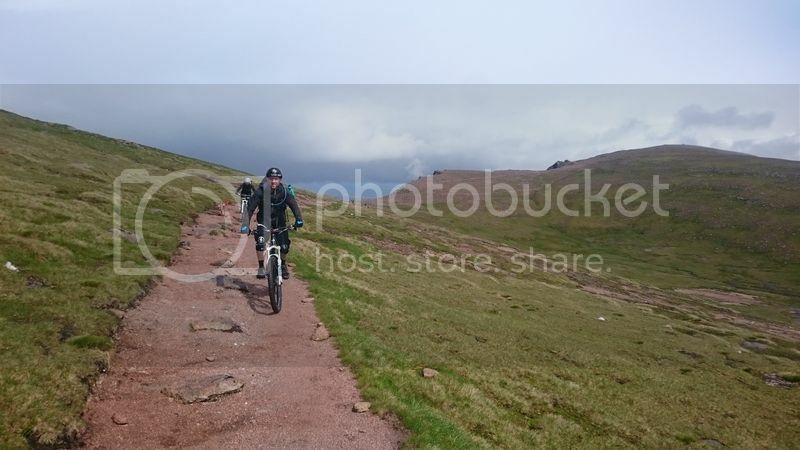 Blencathra- Absolutely loads of fun, recommended. makes note to self to get out in the mountains again this year. Some amazing photos there munrobiker. 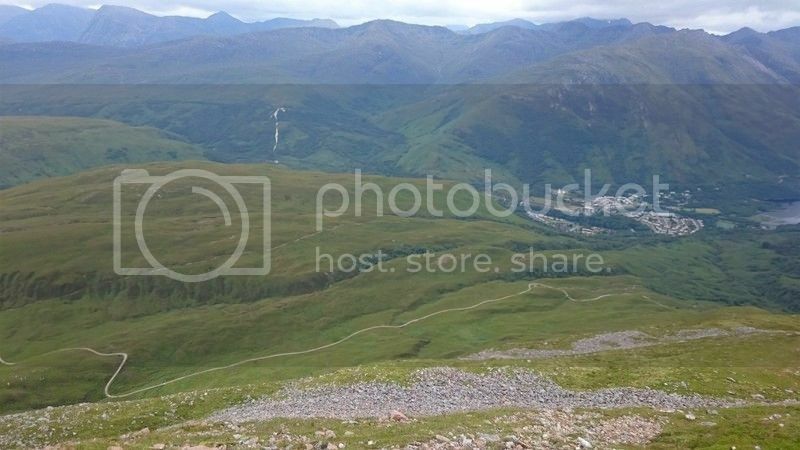 Are you talking about the Glen Nevis decent of Stob Ban? 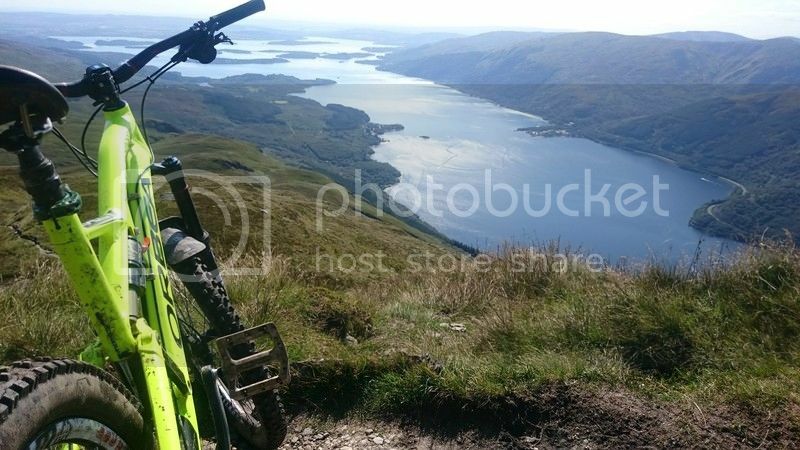 As a couple of lads I spoke to at the Dudes a few years ago said the descent down into Kinloch was pretty ace. Hey guys, awesome thread wish I’d seen this before now as I have a couple of months off work and I’m looking to get in some big rides in whilst I’m off. 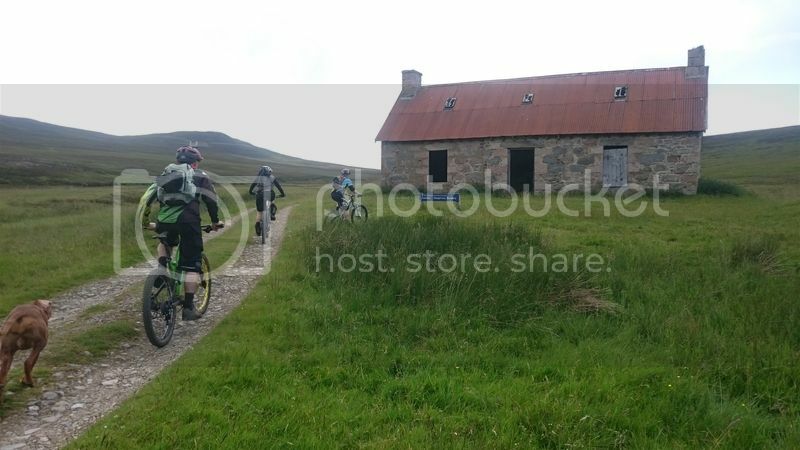 I’m currently thinking of heading up to do the Neeps loop of Loch Muick, but wonder if anyone has been up recently and whether it’s still a do-able ride given all the pish weather recently and also whether I could tag in a ride up to do Broad Cairn as part of the loop? 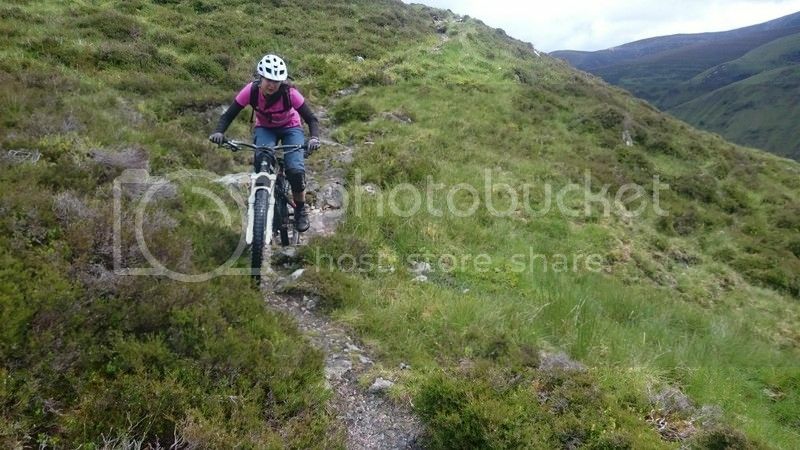 If the Muick loop you’re describing is the one with the Capel Mounth descent it’ll been fine. 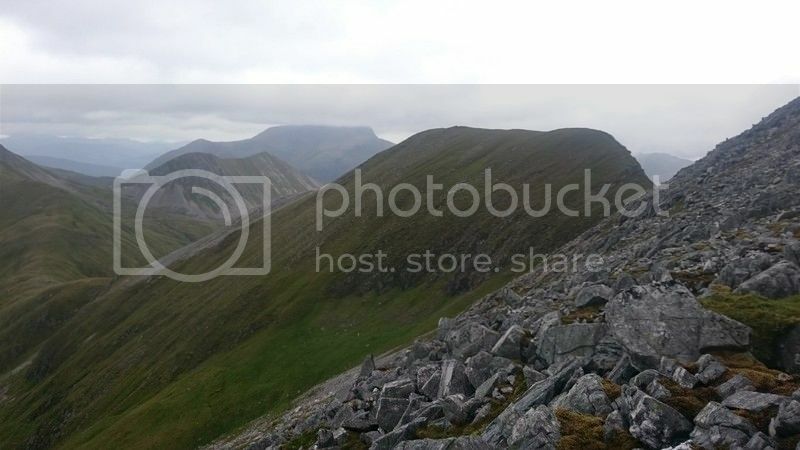 Myself, Rachael McD and Ben Glencross met yesterday for a Mamores day out. 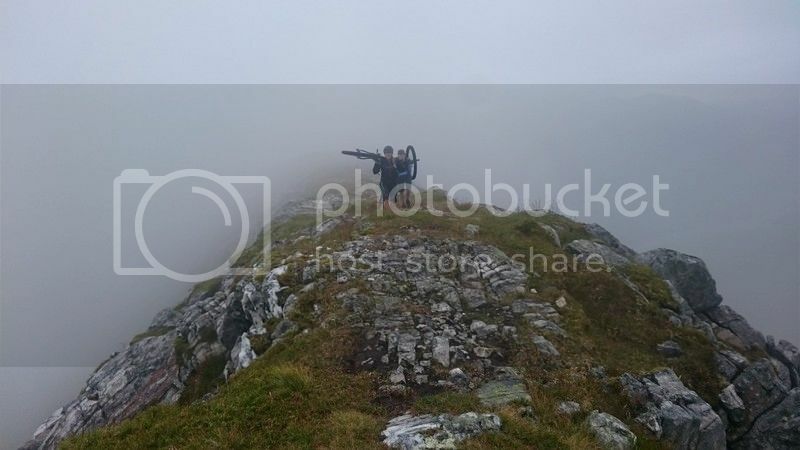 The MWIS forecast promised good clear skies at munro level…hmm. 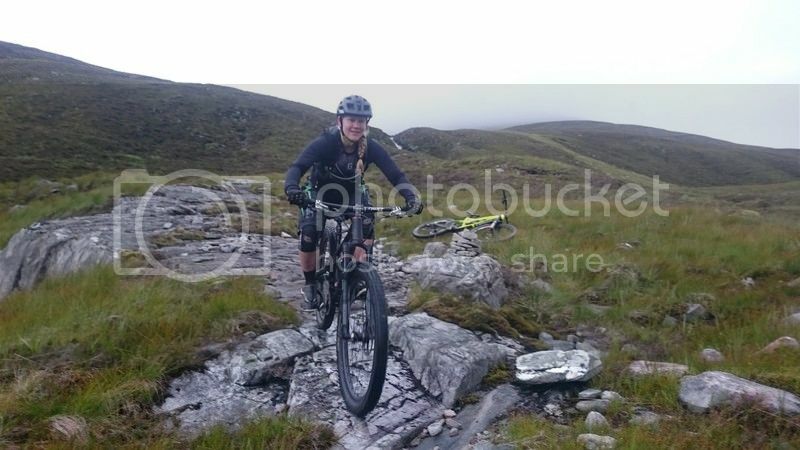 Route was basically up the rd by Mamore Lodge, left up the pathless hill at the deer gate before the Grey Mares trail then along the summits to Binnein Mor. 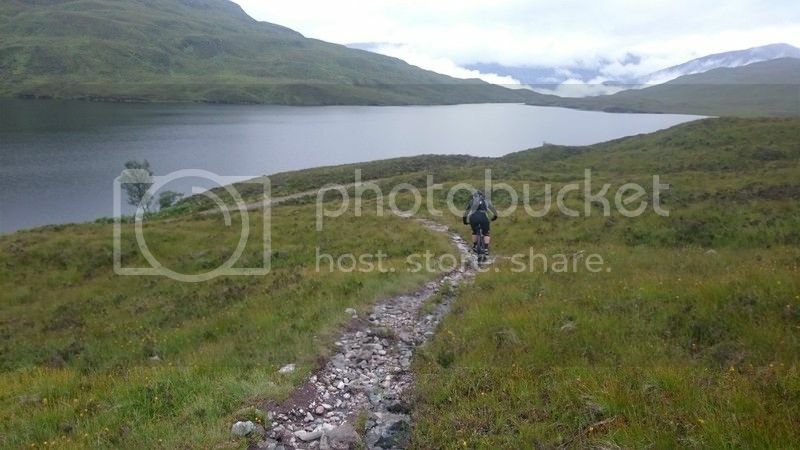 Our final short climb to Binnein was thwarted by heavy cloud and high winds that whipped up suddenly just after the bealach so we traced down the ridge, cut left down the mountain switchbacks and rode the path around the lochan and down to the one that ends on the banks of Loch Eilde Mor. Then a mile or two to Kennels and finished on that. Wow. Once up at the top I was in a constant state of awe, giddiness and fear. 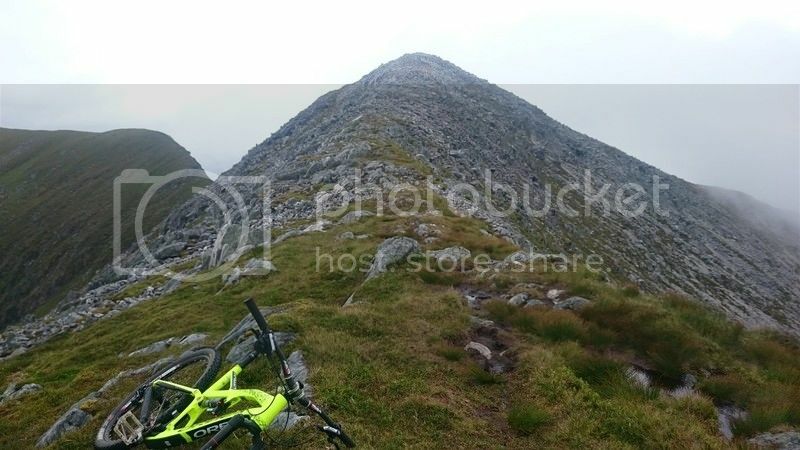 The most epic views I have ever had while on a bike ride, the most intimidating ridges I’ve been along, but truly inspiring 🙂 We picked our way along from the first peak, to Na Grugaichean, then the unnamed peak and started toward Binnein Mor top but were forced back before we reached it as high winds and driving rain whipped up out of nowhere making it impossible to see what we were doing. 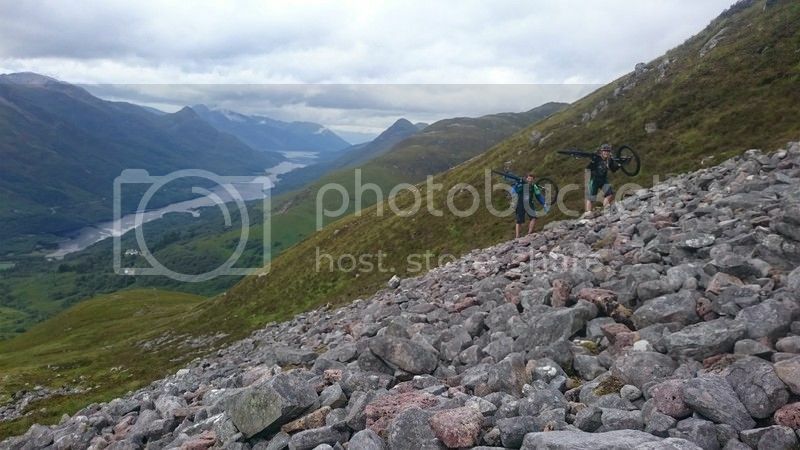 The top descent was more vertigo as a cairn marked the steep switchbacks as they vanished off the top of the ridge before contouring below the corries. Once down the steepest, the riding was sublime. Tight, narrow, rocky, trialsy in many places, and what felt like miles of natural rock slab riding! (makes Dalbeattie look like a miniature rock garden in comparison). 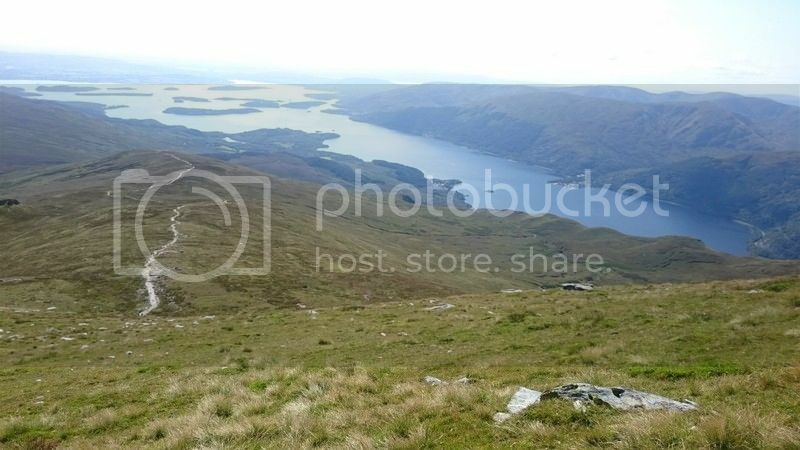 Those wee kiddies trails called Kennels and Grey Mares both visible way below us! You can just make out our path on the right of this ridge! I then realised that the ride down from the upper corrie would have been great. That thing of never regretting a ride but regretting not riding sometimes gets extended to regretting not having lugged the bike on the shoulder up a massive hill walk. 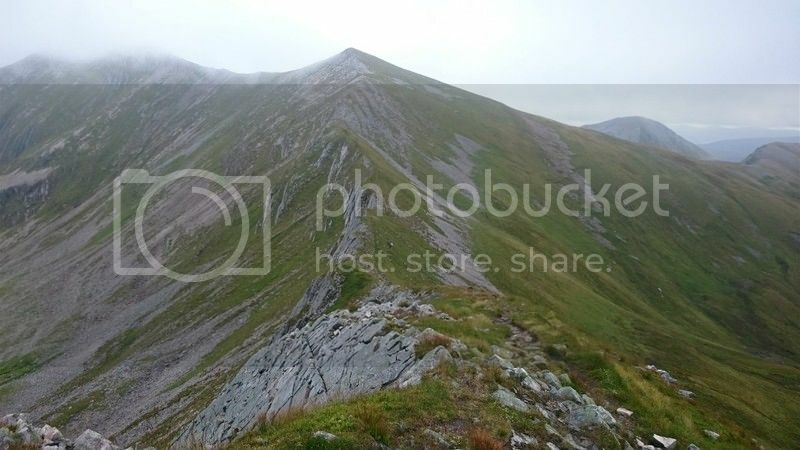 Has anyone been up Fraochaidh, near Ballachulish? Beinn a Chroin? 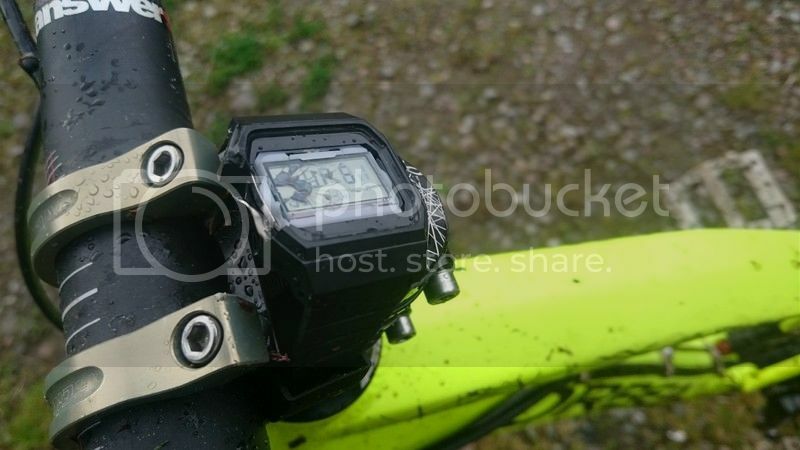 Is Ben Lui any use on a bike? I’d be very interested in this as I’ve looked at it a few times. It looks like a goer. 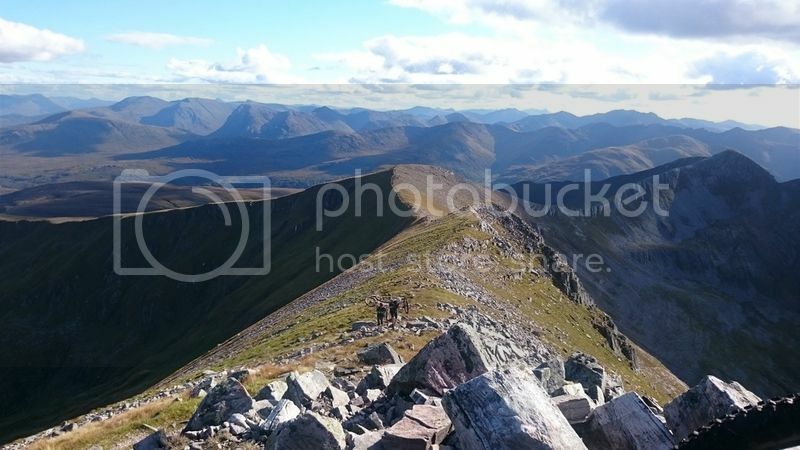 Anyone tried Creag Meagaidh? I’m thinking of the route going over Carn Liath and Stob Poite Coire Ardair on the way around Coire Ardair. Descent from ‘the window’ might be problematic so I’m wondering if there’s an alternative descent. No other way,but you can swing back round the ridge after Meagaidh. Also the best way to climb it is to start about 3/4k down from the centre,much more will be bikeable. 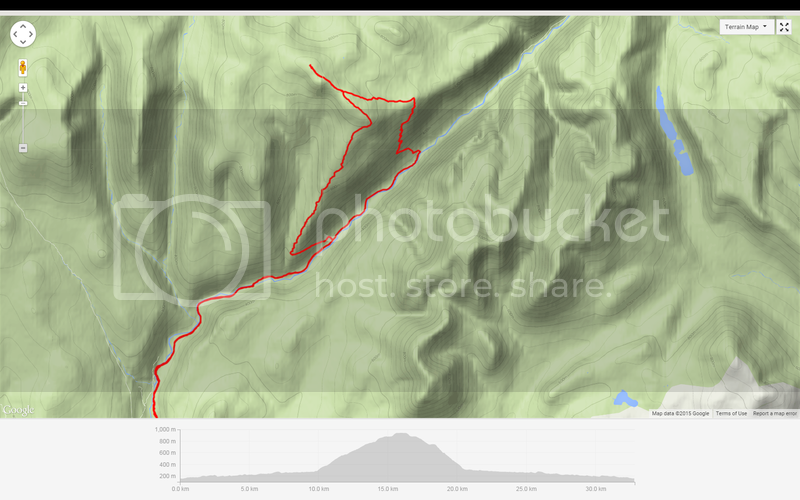 There is a logging road that goes int the glen and I have done it as a through walk. 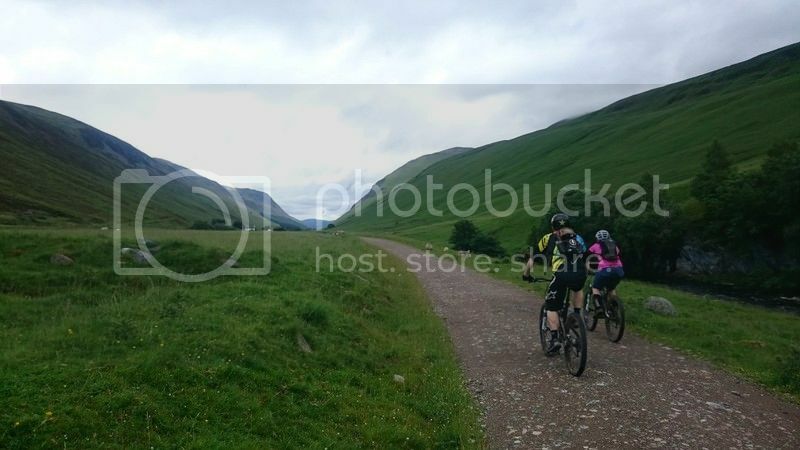 Much more time on a bike than if you do the midge infested wet hike a bike that the route up Liath is from the main car park.Another alternative is to follow General Wades road from Gergask,although that would leave you with a pig of a bike out,or two cars. If you pm me tonight I will dig out the grid ref of the shorter one. 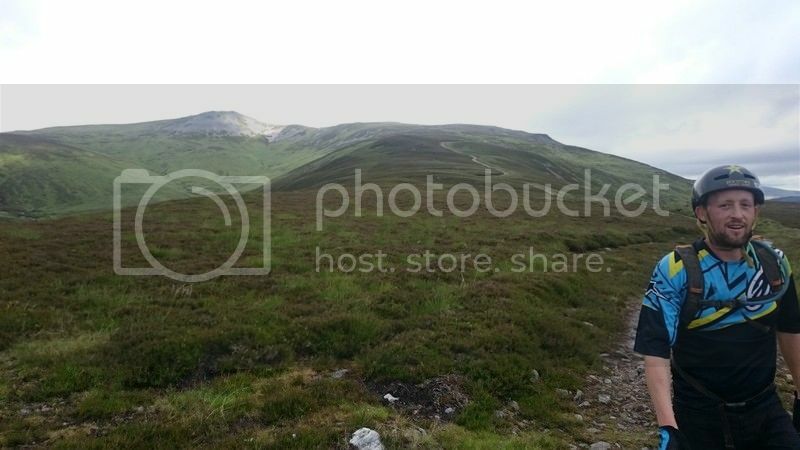 I’d be very interested to know that route up Carn Liath. Cheers duckman. I’ll be getting the train up and riding from Dalwhinnie or Newtonmore. 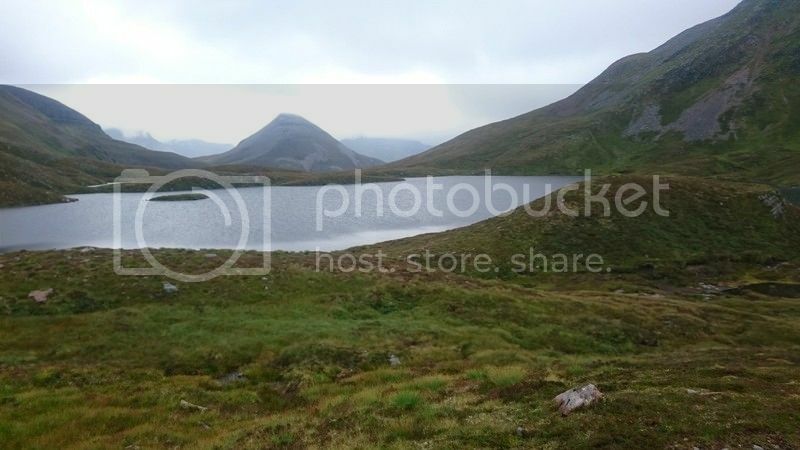 Haven’t yet decided whether to storm it in a day or stay up and camp, maybe try Laggan out while I’m up there. 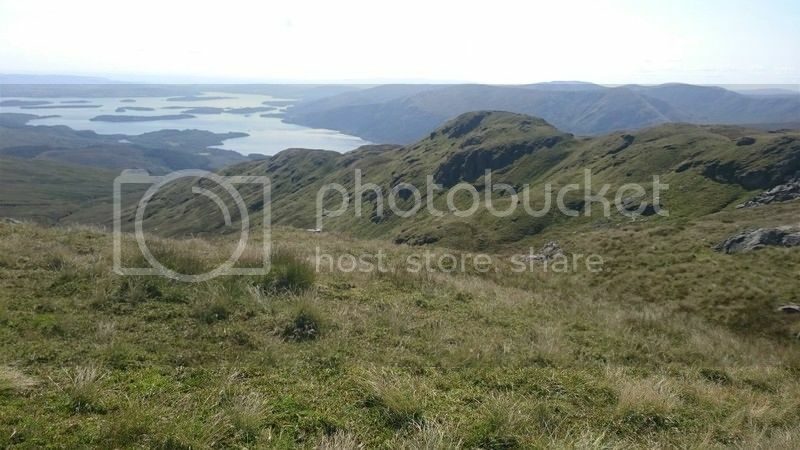 Granny was over today to watch the boy for a few hours, so I took a wee jaunt up Ben Lomond, seeing as the weather was so utterly perfect and I’d still not made it to the top with a bike! I made the stop at the wee coffee shop in Drymen on the left just as you come into the village. 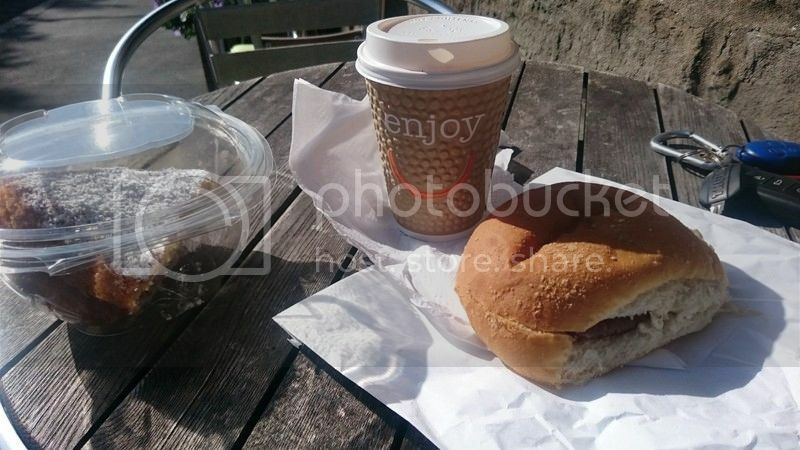 £4.80 for a roll, proper coffee and some cake, worth a visit. The plan was to do the Ptarmigan way down. It had been a good few years since I walked this and I basically rode it blind, forgetting what was coming (probably just as well!). As I was on my own I could set my own comfortable pace, stopping only to answer the occasional comment from the hoardes of walkers (“you’re making us feel bad as we can barely make it without a bike on our shoulders!”). 50 minutes after leaving the car park I was at the start of the plateau and hopped on to do some pedalling. Plateau my árse! 25 minutes of very nice technical pedalling got me to the final kick and from here the time went by quite quickly. 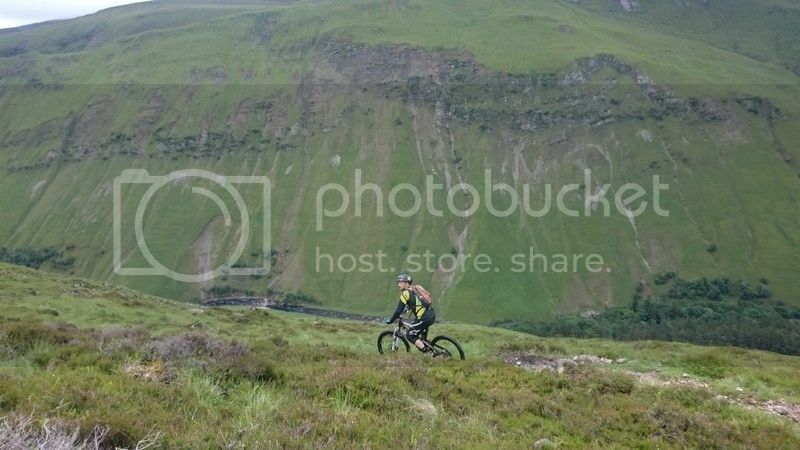 As I got up to the last wee steep I felt a right spring in my step and almost started jogging with the bike-hat adornment, making it to the cairn in a surprising 1:28. There was at least 40 people sitting up top in tshirts enjoying their well earned drinks. The views were amazing. I stopped long enough to put on the elbow, shin and knee pads, full facer, goggles and all that junk I’d been carrying up the hill, and decided to plop down the Ptarmigan side as the main path was far too busy. I didn’t get far before the carrying downhill began. 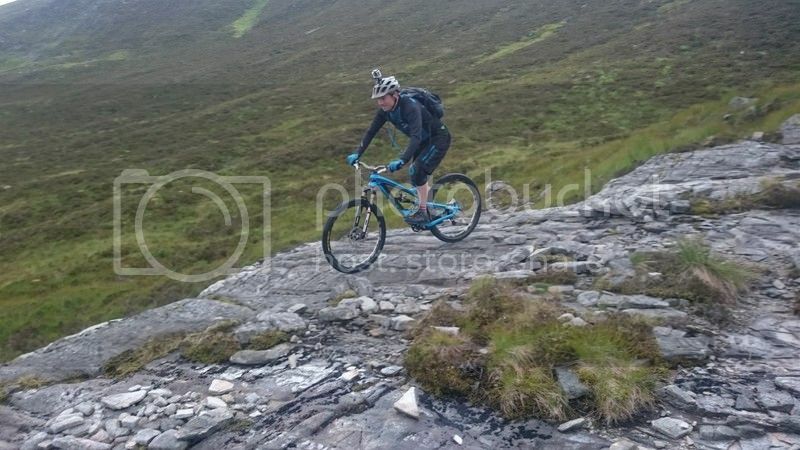 Ok, there was a fair bit of carrying as the steeps up here are simply too nasty to ride down. You could trials hop down if you had the skills. Sadly I don’t. The first half of this route was a pain to be honest, not a load of riding, lots of carrying and then some climbing! There are a few stepping stone bogs that were interesting. The rideable bits were lovely, rocky, natural feeling berms on a lot of the corners, boulder gardens that could be floated over if straight lined etc. 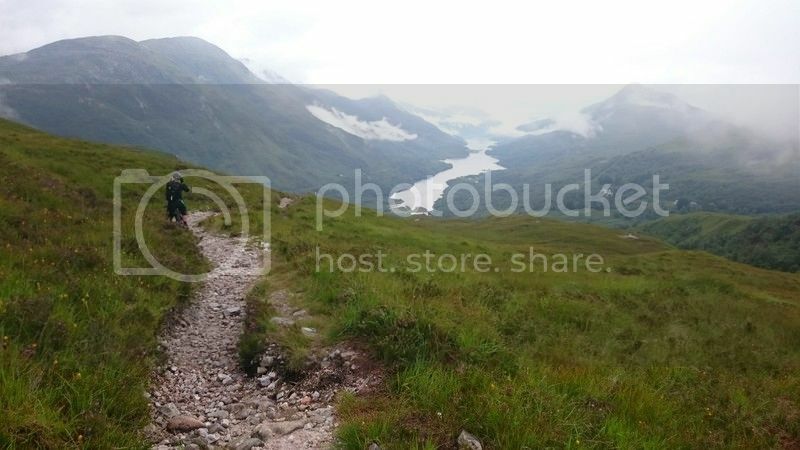 The latter part of this route gets very narvy as the bracked hides most of the trail, contouring round the side of the hill there’s an epic steep slope to your right all the way to the loch. The hairpins are often rideable but many were not as they really were too sharp (and I’m usually one of the decent ones in the group at the steep tight hairpins). You would be riding a rut and have a 150 degree corner with a rock on the inside with no way to even nose hop round as there’s no room for the back end. Added to the exposure I made as much of it as I could. The good bits were good, sublime, excellent riding, the rest was hard work. If I was going up again and wanted good riding I’d do the up and down tourist path. If I wanted the better views, more interesting path and perhaps just a day out I’d do the Ptarmigan again but leave the bike at home! Another run up Binnein Mor this weekend, though as the weather wasn’t mental we made it to the top, and there were some fine views indeed! A rare day on the summits then 5.4km back down to the loch. Went up Ben Macdui on Saturday. It was a fantastic ride. The descent back around Coire an Lochan is just wonderful. I made it down with the very last of usable daylight – this may have made me a bit quicker and more committing on that descent. The reason I was late back was that I decided to run over to Derry Cairngorm and back. I noted what a great descent it would be to ride down to Glen Derry from there. Another time. Macdui is more impressive from the other side. I so enjoyed that ride back to Coire Cas, I’m wondering if there’s something similar up that way that I haven’t done yet. In particular, what’s Braeriach like? Is it worth a carry up? 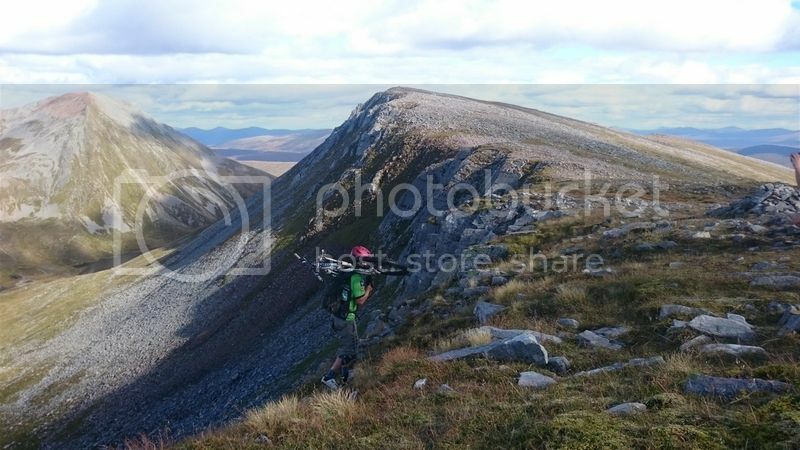 I’m back up to Aviemore on the train in the morning with no plan as yet but half thinking of doing the Coire an Lochan descent again and head for Chalamain and Lairig Ghru but I’d prefer a few more munros. 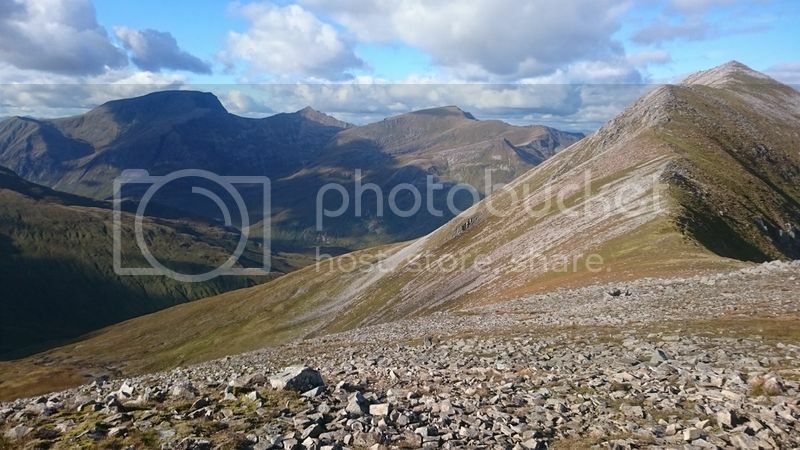 Anyone done Braeriach from Chalamain? 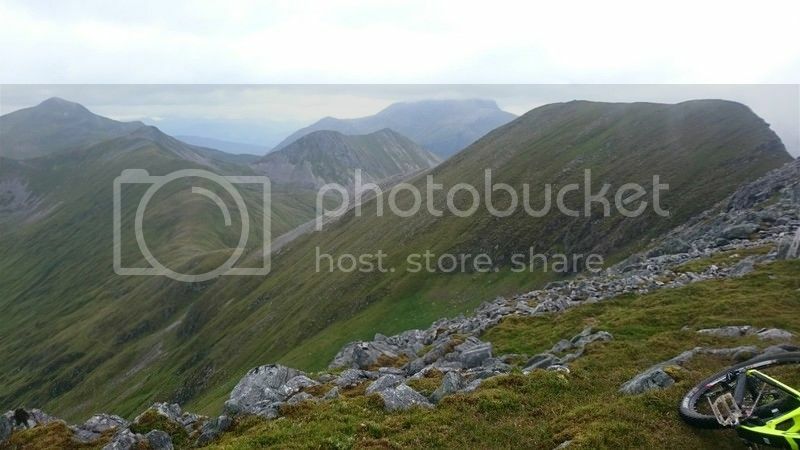 I’ve done Braeriach from Glen Einach. 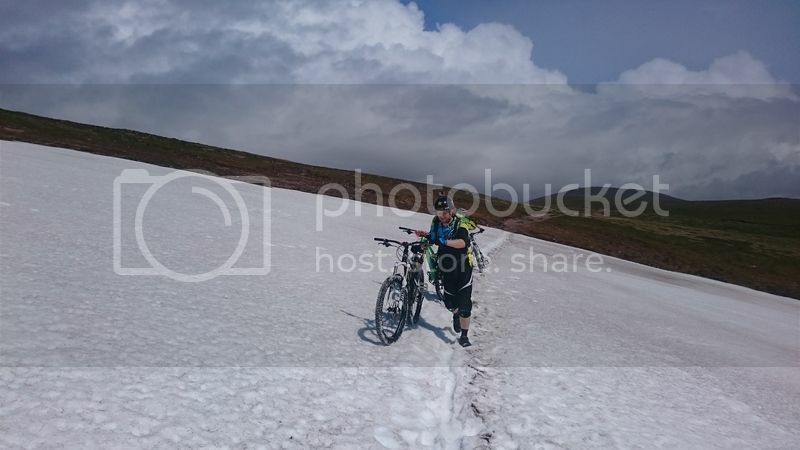 I crapped it a little as I climbed up the steep section to the saddle as there was a lot of hard frozen snow. I ended up wedging myself between the hillside and the snow and gradually edged my way up. It was then mostly a push and carry to the summit as the going is loose. I fancy going back with the fat bike. I enjoyed the descent but the Lairig Ghru path was a bit stop start until I met with the path up from Rothiemurchus Lodge. It was still a good day out! 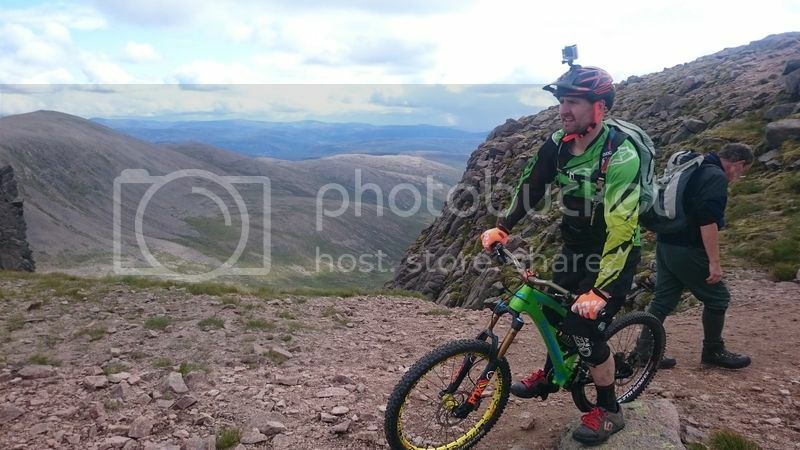 I rather fancy going up Carn Ban Mor then heading across the great moss on the fat bike before reaching Braeriach and doing all 5 4000 foot mountains. 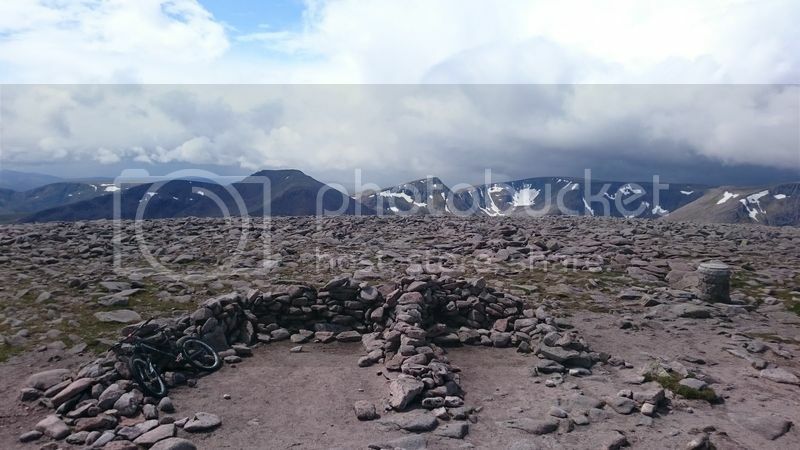 I did MacDui and Cairngorm last month and they were brilliant! The descent of Cnap Coire Na Spreidh was excellent although it gets boggy for a bit when you traverse to the low car park. 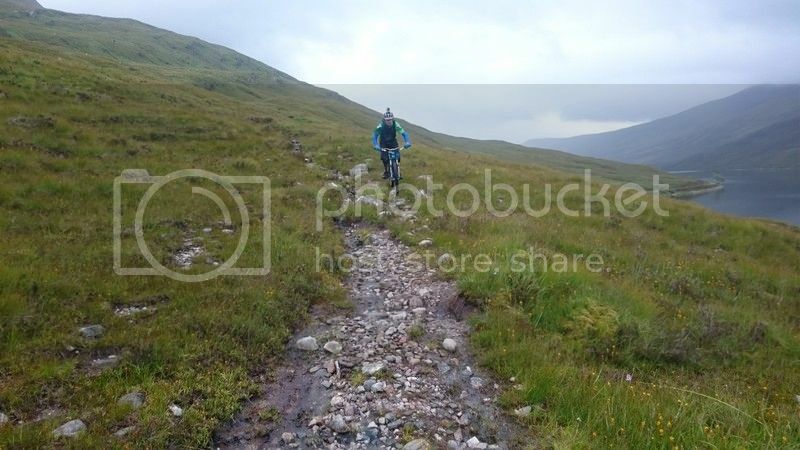 Only ridden Chalamain on the path in order to get to the hill above Utsi’s Bothy and not travelled through. It would go though if you don’t mind a carry over rocks. 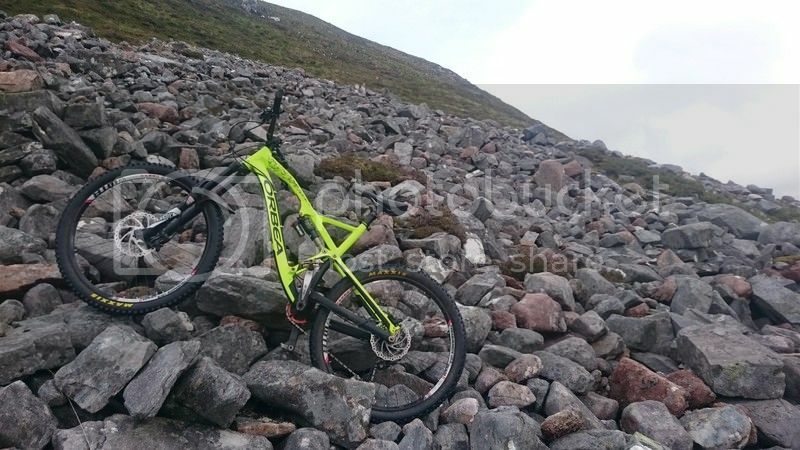 Has anyone ridden the descent to Corrour Bothy from the Devils Peak end of the range? Personally don’t think Braeriach is worth it from any direction. 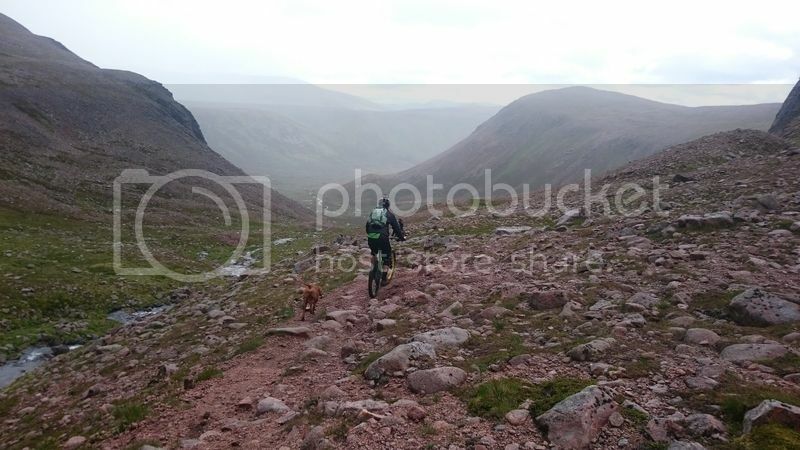 The path up from the lairig Ghru is pretty loose, eroded and straight. 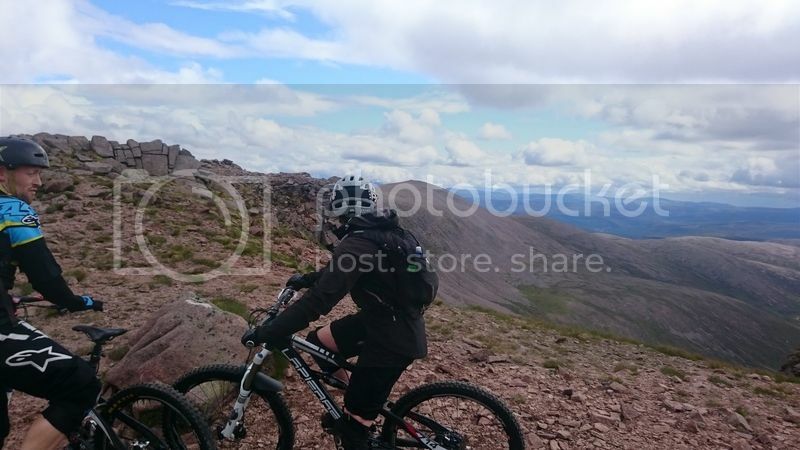 If you want to do it from that side I wouldn’t bother with the Chalamain Gap, just go up the Lairig Ghru. The descent to Corrour from the Devil’s Point would be pretty much all rideable but didn’t inspire me to go back having run it recently. Sorry for the tardy reply. The beta for the Corrour descent is what I was after. 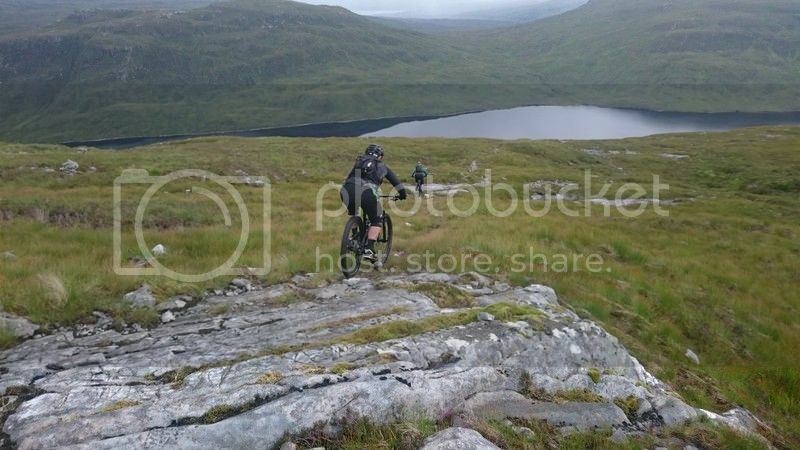 It means I can now do the traverse over the great moss by fat bike and not be faced with a long carry down to Corrour. Glasgowdan- Binnein Mor looks pretty technical. I’m going up with a reasonably good rider in a couple of weeks and fancy it. He could do Ben Lomond but it is likely to be his first mountain and I don’t want to scare him off. Would it be suitable do you think? If not are there any decent alternatives in the area? Weekend booked in summer, looking for at least one decent day out if the weather’s good, what are my options going up from Aveiemore side? How’s Macdui from that side? 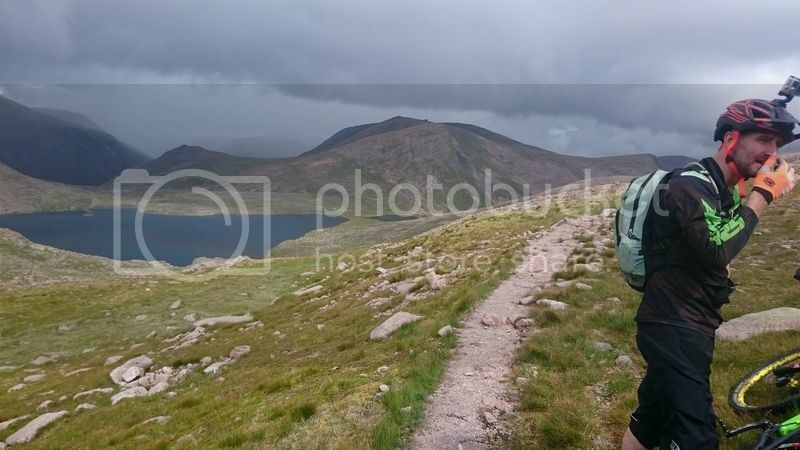 General advice seems to be that the descent down to Loch Etchachan is the best but think that would be better from the Linn of Dee side, whats the descent back down to the ski centre like and do you have to do it as an out and back? Bynack More looks a goer but probably an out and back also, not that that’s an issue. 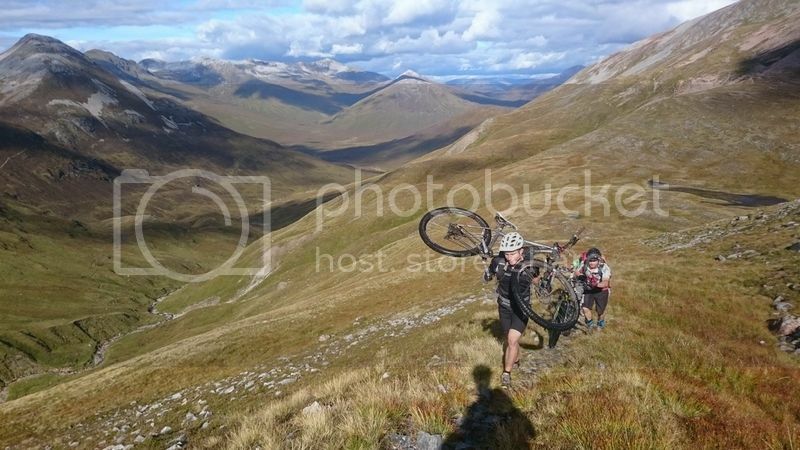 Or could go up Macdui, down to Loch Etchachan and then carry on down to Glen Derry, then go up the glen around the back of Bynack More and get the last descent back to Glenmore lodge? 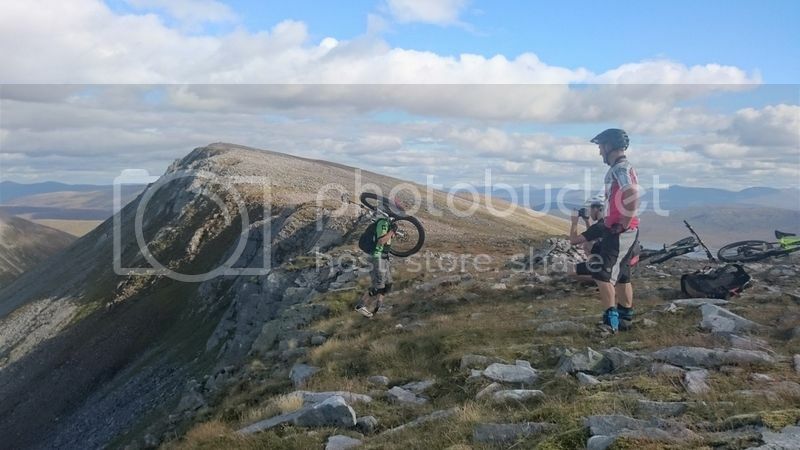 Could even go up Bynack More if still feeling it by then. 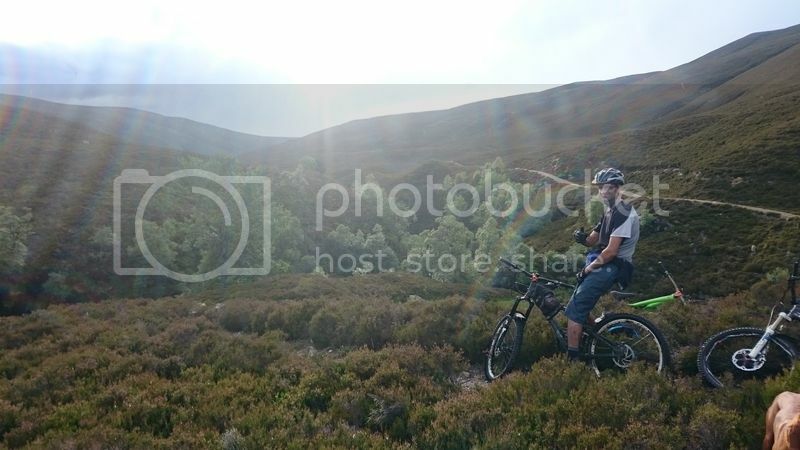 Any of the descents off of Cairngorm worth it? Etchachan descent from the north, back over Bynack mor shoulder is the way and is a bit of a flog, the descent is also rubbish now it has been modified, worth it for Mcdui though, but don’t underestimate how long this will take. PS. Bynack mor is ok but not worth the extra, i did it before the descent was ruined as an out and back from Glenmore it was worth it then. Binnean Mor. hmmm. Not sure i would take a newbie up unless you are confident in their technical skills. Carn Ban Mor but then riding the plateau past Sgur Gaoith then taking the tiny zig zag trail from the weather station down would be a great choice. I reckon MacDui out and back heading out beneath the northern Corries then returning via Cairngorm is a cracking day in the mountains. 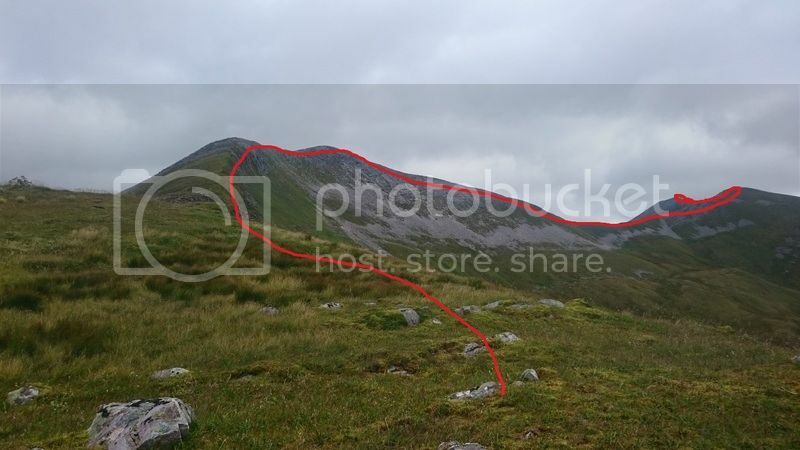 I like to descend via Cnap Coire Na Spreidh to the old plantation then it is a few minutes of bog trot. 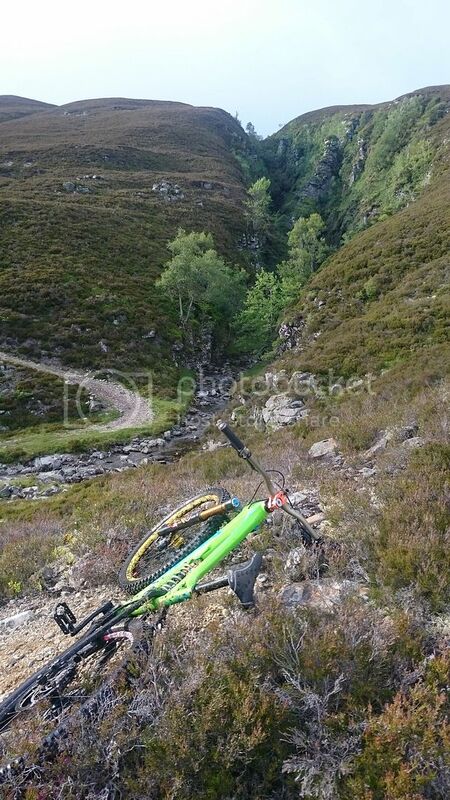 Alternatively, you could do the same route, head down Etchecan, down to Loch Avon then carry out up onto Cairngorm. LOTS of carrying but I reckon it would go. Food for thought. I presume for the Macdui/Cairngorm route you mean ascend via the path up the ridge to the west of Cairn Lochan? Then come back down the same way but hang a right at Lohan Buidhe and follow the path to top of Cairngorm. Then main ascent back to ski centre? Can’t see any alternatives on the map but does’t mean there aren’t any. 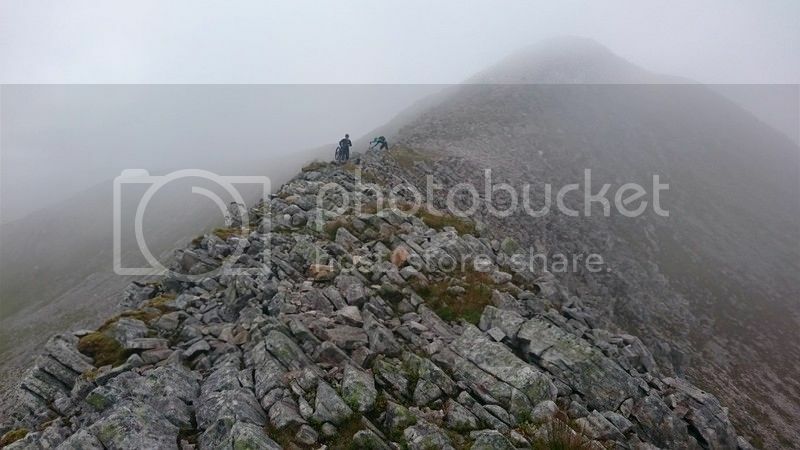 Whilst not quite at Munro level, I’ve been eyeing a nice looking high level ridge ride on Arran, I’ll be sure to get some pics up when I finally get a chance. Can I come for your Arran trip please? E mail in profile. Seriously though, I’ll drop you an email.